Make an entrance they won’t forget with our VIP Package! Have you ever dreamed of walking the red carpet, with the paparazzi in tow? Well dream no more with our all exclusive VIP package from AMJ Spectacular Events. Rent the glitz and glam of the Hollywood for your prom, red-carpet themed event, wedding or a special corporate event to make an unforgettable appearance. 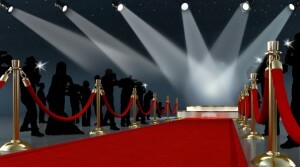 Planning on hosting a gala, awards show, premiere, grand opening, or ribbon cutting? 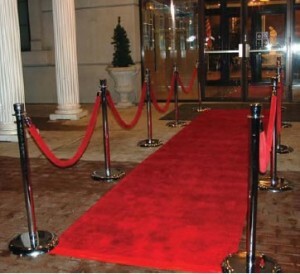 The red carpet and search light make for a great photo op and add to the ambiance of the VIP experience. You have a special event coming up, and you want to “class up” the place a little, right? A red carpet will do just that. You’ll be surprised what a difference a red carpet runner makes, and we have three lengths available: 12′, 20′, and 40′. All are 36″ wide, to provide the appropriate dramatic effect. Stantions available as well! An AMJ Search Light is one more great tool that will change your party into a Spectacular Event. This will extend 2 miles into the sky and draw attention to your event. 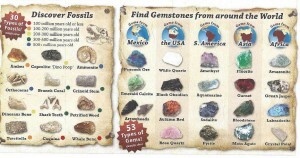 Gemstone Mining from AMJ is both FUN and EDUCATIONAL! Do you have a little explorer who craves adventures and loves to get their hands touching the Earth? This is the rental for them! 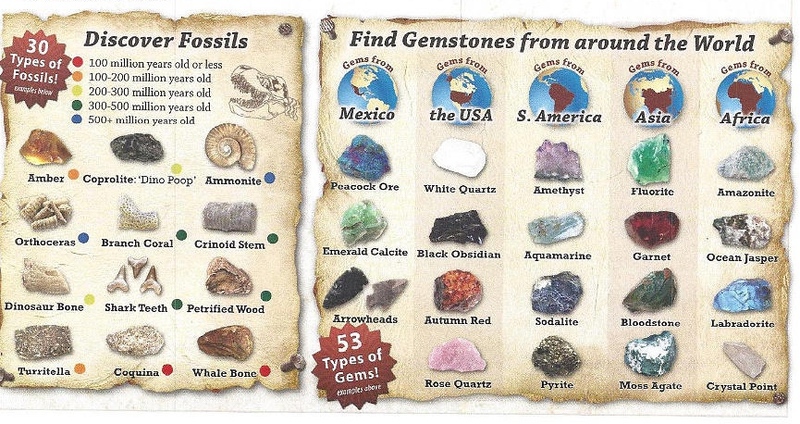 Rocks, minerals, fossils and gemstones, oh my! Sift, search, sort and shine rubble into beautiful gems with this rental activity! Children of all ages will discover a variety of colorful minerals and raw gemstones. 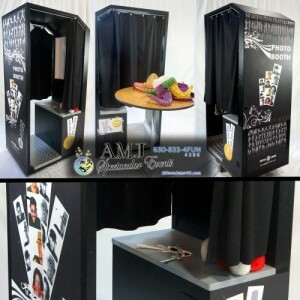 With this AMJ rental, it brings the option of having something fun also be educational to a party or event. A lesson in mineral properties like: density, luster, color, texture, streak. While the little Rockhounds dig and sift they can learn about crystal structure and explore “The 3 C’s” of gem mining-color, clarity and crystals. Hours of hands-on fun that is something a little different than the usual activities. 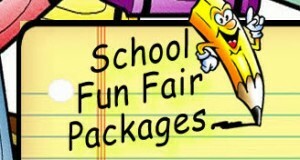 Looking for an interactive station for your School Fun Fair or Scout party? Teachers would love this option to connect to the physical geography or mineralogy science units. This has everything you need to conduct your own “mining expedition”! Pan for gold? Sounds like a shiny great time. Gem hunters of all ages will get their hands wet and be amazed at how beautiful the dirt of the earth can be after it has a little washing. Throwing a birthday party for the Earth-loving nature enthusiast, who says they want to be a Geologist or Anthropologist when they grow up? This will be his/her highlight of the party, for sure! Or a Snow White party perhaps? Looking for an activity that is a little different for the children at your event to keep them entertained and having fun? Talk to our event planners about renting this Gemstone Mining Table! When you’re planning an event, you want for it to be memorable. While inflatable rides can generate lots of laughter (and burn off some excess energy! ), wouldn’t it be fun to bring in something that people will still be talking about next week, not to mention a little keepsake from the event? Then you might be interested in our Portable Gemstone Mining System! This is a great hands-on participation activity for kids, with a little education attached. But it’s not just for kids – all ages will enjoy this activity. We offer a 3 lb. bag of mineral rough n’ soil mixture, which contains many varieties of mineral stones. Your guests purchase a bag of mineral enriched soil and pour it into a sifting tray. They dip it into the sluice and watch the soil wash away leaving just the gems. Our system is portable allowing us to bring the fun to you! (unlike many other panning systems out there today). Please also ask us about Gem Stone Mining Packages available for your next event! 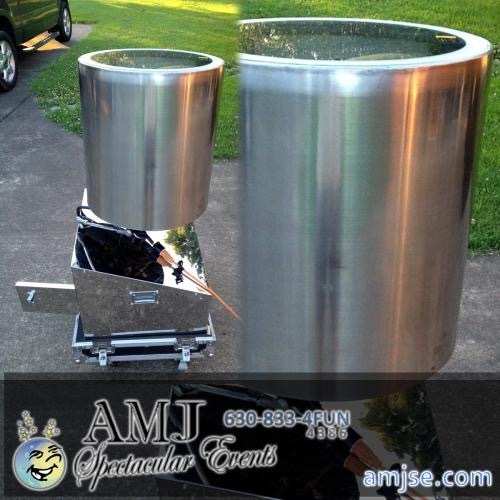 Let AMJ help your New Year’s Party be Epic! 5.) Photo Booth– This is the most popular addition to parties, weddings, festivals, school functions and corporate events! 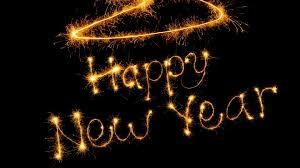 Why not bring in the New Year with our Photo Booth? You’re guests will be thrilled with the opportunity to capture their 2015 New Year moment on film. If you are having any type of New Year event, your current guests will be thrilled to know there will be a photo booth available, and if you are trying to sell your event, a photo booth may just what your event needs to encourage attendance. 4.) NEW Flip Books! Picture this, you and your friends, co-workers or family are video taped for about 15 seconds in front of our white or green screen with signs and funny props then your fun lil’ antics are printed onto paper, bounded with a beautiful cover and you leave with your very own flip book! A flipbook that you will treasure and laugh at for years to come. 3.) 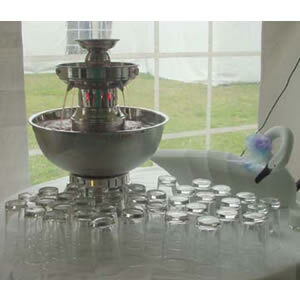 Champagne Fountain– The PERFECT way to have a toast at midnight! This champagne fountain not only brings a functional way to hold your champaign, but creates a wonderful centerpiece that will add to the excitement of the evening. 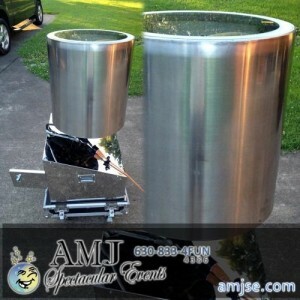 AMJ has 4 gallon champagne holder with a height of 22 inches. They also have a 7 gallon champagne holder with a height of 27 inches. Create a GRAND champaign table with a 7 gallon champagne fountain in the m iddle, with a 4 gallon champagne holder on each side. What a spectacular site for your New Year’s guests! 2.) Chocolate Fountain-Dessert tables are definitely a sign of a well thought out party. What better way to create an enticing dessert table then with a chocolate fountain as the centerpiece? Add some fruit trays to create an array of color and please the sweet tooth of your more health conscious guests. 1.) Zoltar the Fortune Teller-New Year’s is symbolic with the “ringing out” of the old year, and the welcoming of health, fortune, and opportunity of the New Year. Zoltar will be the talk of the party as guests mingle while they wait to see what their future holds! Ho! Ho! Ho! All Aboard the AMJ Polar Express! This is the perfect train for an upcoming holiday event where you need to shuttle guests from one location to another, or perhaps just have a fun-filled ride with some hot cocoa and enjoy the scenery! If you are looking for a larger train, check out our Miracle Express Electric Train with a 30 passenger capacity! This magnificent train features a handcrafted wood interior and exterior. It not only sounds like a train, but your passengers will feel as if they are really riding the rails! At AMJ we strive to meet your diverse needs, from private party, school function, park district, corporate event, you name it, we are here to make your next event SPECTACULAR! 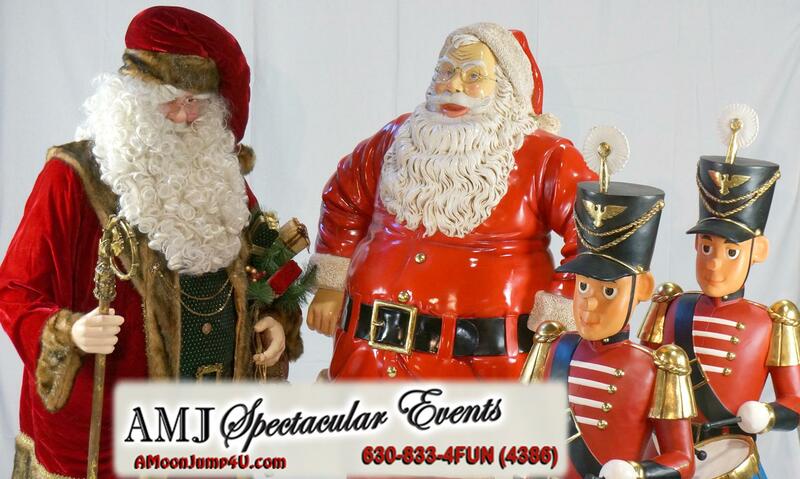 AMJ Spectacular Events is prepared to assist you in creating a memorable holiday party this year. These items will be booked quickly this holiday season, so be sure to call us right away to check on availability (630-833-4386). Believe it! The holidays are here again, and it’s the perfect time for employee recognition with a spectacular holiday party. 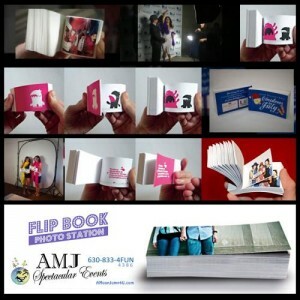 AMJ Spectacular Events has a variety of items for the memorable event you are planning. What’s more popular than photo-ops lately? AMJ has just what the camera ordered with the Human Snow Globe. Yes, you read that right. A human snow globe. This snow globe can can be customized with a company logo and company name to create a personal touch for your holiday party. Santa’s Sleigh provides a beautiful backdrop to set the holiday spirit and it’s a wonderful photo prop for your guests. Don’t have room for a sleigh? How about a Santa Chair? The timeless classic picture with Santa and the Santa King Throne is sure to please all ages. AMJ has more holiday themed costumes perfect for your event. Check them out here. All aboard! 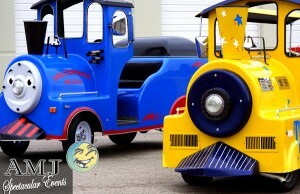 Trackless Trains are sure to impress with your Polar Express themed party. AMJ offers a variety of trains for youth and adult alike. The indoor/outdoor capability is perfect for transporting guests from the parking area to the event. Looking for the kids? You can always find them near the inflatables. Keep the kids amused and occupied with this holiday inspired Candy Cane Moon Jump, or go on a Candyland Adventure, and find yourself exploring a gingerbread house with an eight foot slide! If you are looking for more of a challenge, how about our 45’ Christmas Inflatable Obstacle Course? These are just a few of the ways AMJ can enhance your holiday event. Check out our holiday themed page for many more excellent options! AMJ Spectacular Events is prepared to assist you in creating a memorable holiday party this year. These items will be booked quickly this holiday season, so be sure to call us right away to check on availability (630-833-4386), or email us at sales@amjse.com. So you’ve volunteered to help with your school carnival or fun fair, and you’re probably wondering what you’ve gotten yourself into, right?! Relax – you’re right where you need to be! AMJ Spectacular Events has been helping with school carnivals throughout the Chicago area for more than a decade, and we know what it will take to make your event memorable and FUN!! First, you probably want a checklist, to make sure you’re not forgetting something important – we like PTO Today’s carnival checklist. Then, you need to find a vendor you can trust. 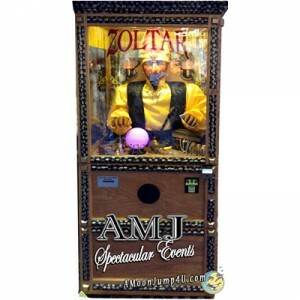 AMJ Spectacular Events is your one-stop shop for “all things carnival”. You’ll want to find the right carnival games, plus perhaps an obstacle course or a moon bounce, and what kids’ event is complete without some fun food?! Our staff has the wealth of ideas and experience that you’re looking for. Call us today at 630-833-4386, or contact us day or night at amoonjump4u@gmail.com. We look forward to helping with your special event! When Is An Obstacle A Good Thing? As adults, obstacles are things that get in our way – the fewer we encounter in our day, the better. But have you noticed how kids LOVE obstacles?! In particular, obstacle courses. Whether it’s the fun of testing themselves to see what they can accomplish, or the thrill of competition, kids seem to want to do obstacle courses over and over and over. An obstacle course can be a great addition to your Chicago area birthday party or family oriented event. Our 58-foot “Rat Race” inflatable obstacle course is big, colorful, and full of character! Your kids’ eyes will light up the first time they see it, and their smiles as they exit will make for a perfect photo opportunity. 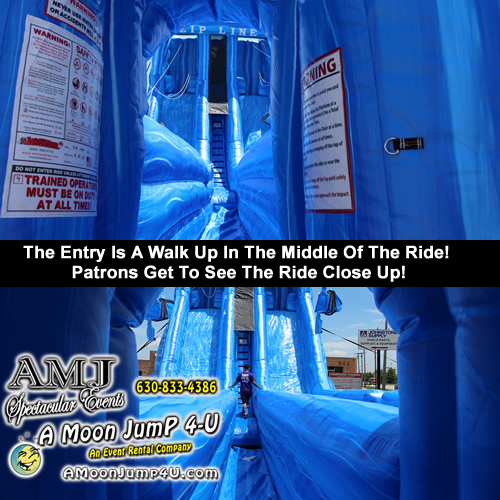 A Moon Jump 4U, a division of AMJ Spectacular Events, has been renting inflatable bounce houses and obstacle courses to families, organizations, and businesses around Chicago and northeast Illinois (and as far away as Wisconsin and Indiana!) since 2004. Contact us today to check on availability! Race Fans Experienced Acceleration & Exhilaration at the 2013 Indianapolis 500! The Snake Pit at this year’s Indy 500 featured, for the first time ever, the 220-foot Fly Wire Mobile Zipline. Race fans had a unique view from the 3-story tall structure, and at speeds of over 20 mph, the zipline added to the exhilaration of an already-exciting day. The fun wasn’t restricted to kids – anyone weighing between 50 and 250 lbs was eligible to ride. To bring the excitement of a mobile zip line to YOUR next event, simply call us (630-833-4386) or email us (sales@amjse.com) – but hurry, as the summer schedule is filling fast! Party Equipment Rental in Chicago and Beyond! Some party equipment rental companies have limited product availability, while others only cater to huge commercial customers. Wouldn’t it be nice to be able to rent whatever equipment you need, and to be treated like an important client, not matter how large or small your event may be? A Moon Jump 4U, a division of AMJ Spectacular Events, has provided equipment rental to small backyard parties, and huge city-wide events, for more than a decade. 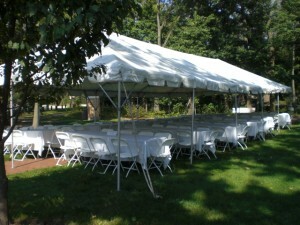 If you have a party coming up in the Chicago area, or anywhere in the Illinois – Indiana – Wisconsin region, you’ll want to check out our huge selection of tents, tables, and chairs. While you’re at it, have a look at our inflatable rentals, concession equipment, and everything else you’ll need to make your event a success. You have enough other details to handle when planning your party – why not make this part easy, by trusting professionals who will deliver exactly what you need, right when you need it! You can email us day or night (sales@amjse.com), or give us a call during business hours at 630-833-4386 to talk with one of our friendly event consultants.